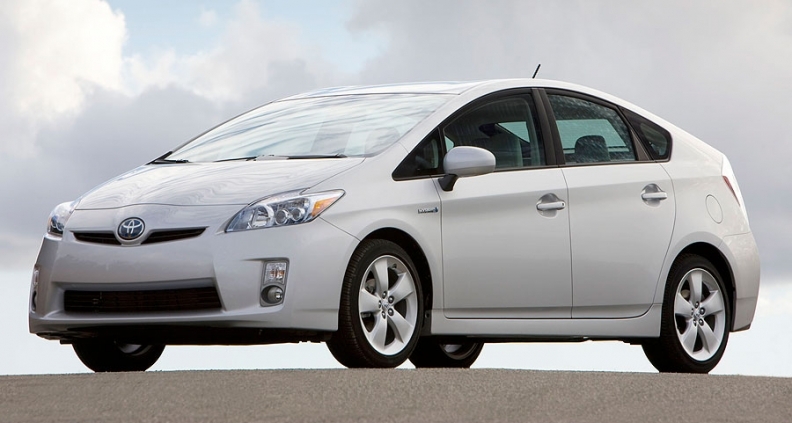 DETROIT -- Toyota Motor Corp. is banking on its redesigned 2010 Prius to jump-start sales of the popular hybrid car. Sales of the Prius fell 12.3 percent last year to 158,884 units. Most of the decline came in the second half of last year when the economy faltered and gas prices plunged about 50 percent. Despite the decline, the 2008 results still were the second-best in the nine-year history of the vehicle, which now has generated sales of more than 100,000 units for four consecutive years. Bob Carter, general manager of Toyota Division, says part of the sales decline also was a result of loyal Prius owners waiting for the redesigned model. The redesigned model goes on sale in the United States in the spring. It is equipped with a new, beltless, 1.8-liter four-cylinder engine making 98 hp. When the electric motor is added, overall horsepower is 134. Ninety percent of the Prius's hybrid synergy drive system has been redesigned, with the focus on weight reduction. The lighter components include the transaxle to cut down on torque loss, inverter with direct cooling and smaller motor. In all, Toyota says it reduced system weight by 20 percent. This is the third generation of the Prius, which first went on sale in this country in 2000. In the new generation, the width and length increased by less than an inch, and the height and wheelbase are the same. But there is more than 5 cubic feet of additional interior space. Carter said electric power consumption has been reduced by using a more efficient air-conditioning system and new, optional LED headlamps. The 2010 model goes from 0 to 60 mph in 9.8 seconds, down from the current mid-10-second range. For the first time, the Prius will offer optional features found on Lexus models, such as a pre-collision system, lane departure warning system and intelligent parking assist. Carter predicts sales of 180,000 units for the first full year of sales. Base pricing hasn't been announced, but even with all the new content Toyota said the price shouldn't be a big increase from today's $22,720 price tag when it goes on sale late this spring.